It's fall and that means it's time for lots of delicious fall foods like pumpkin bread (actually pumpkin everything), sweet potatoes, butternut squash and of course, caramel apples. If you've ever seen pre-packaged caramel apples at the grocery store you'll definitely want to avoid those due the possibility of listeria. Last year a listeria outbreak infected 35 people​, killing 7 and causing one woman to miscarry. 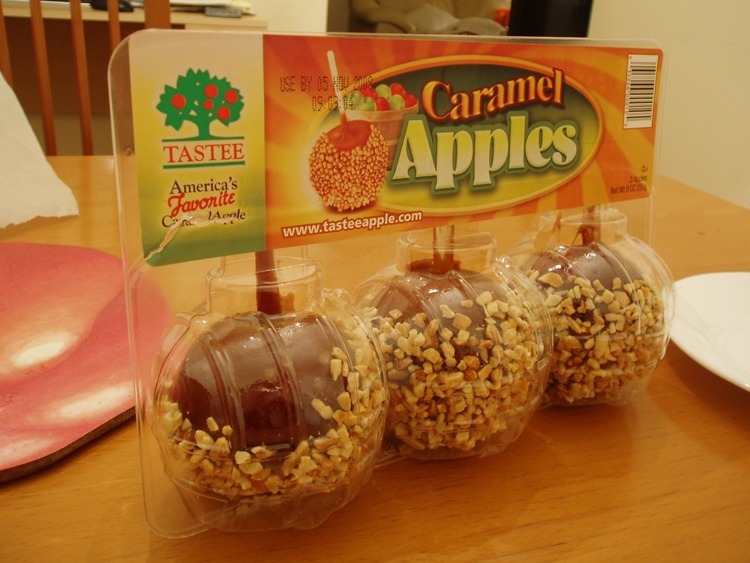 The outbreak was eventually traced to pre-packaged caramel apples. Since neither hot caramel nor apples tend to breed the listeria bacteria, researchers from the University of Wisconsin- Madison's Food Research Institute did some digging to figure out how this happened. What they discovered is that the sticks used to dip the apples were to blame. They concluded that apples stored at room temperature posed the highest risk for listeria. (Click here to view the study). So how exactly is a stick responsible for spreading listeria? Researchers believe that when the sticks are inserted into the apples it causes juice to leak to the surface which creates a favorable environment between the caramel and the apple where the listeria bacteria can thrive. ​With unrefrigerated apples, the bacteria spread even more quickly. It's important to note that in the study the listeria was intentionally covered in listeria before being prepared. The bacteria have to come from somewhere. This means that ​if you are using well washed apples in a reasonably clean kitchen then you likely have nothing to worry about. But I'd certainly steer clear of those packaged caramel apples that you tend to see in the produce section of your local grocery store. Whisk all ingredients ​together in a large saucepan over medium heat. Simmer until the caramel thickens and reaches 245 degrees. While the caramel is cooking, pour any toppings you'd like to use (coconut, peanuts, pecans, etc.) into bowls. insert craft sticks into apples​ and line baking sheet with parchment paper. As soon as the caramel reaches 245 degrees remove from heat and begin quickly dipping apples into caramel and then into toppings if desired. Place on parchment lined baking sheet. Cool apples for at least 15 minutes before serving. Best eaten within a few hours of preparation.